Well, at least I was strong out of the gate this month. Unfortunately, things have slowed down a bit as of late due to massive amounts of spring cleaning taking place around the house. Cleaning brought a bonus with it this year. Linda was continually making comments regarding my Halloween Lab still sitting in the middle of our newly remodeled basement. Personally, I think this is a fabulous place for animatronics construction, but I can see her point – it has been there pretty much since last August. Decided it was best to heed the warnings and cleaned out the small room previously used for the remodeling staging. I must say it looks pretty nice and might put a project post on it when I get time – expecting big things now from the evil depths of the new lab! Knowing my readers have been waiting patiently, decided it would be prudent to dust the cobwebs off the blog. Say hello to my little feathered friend. 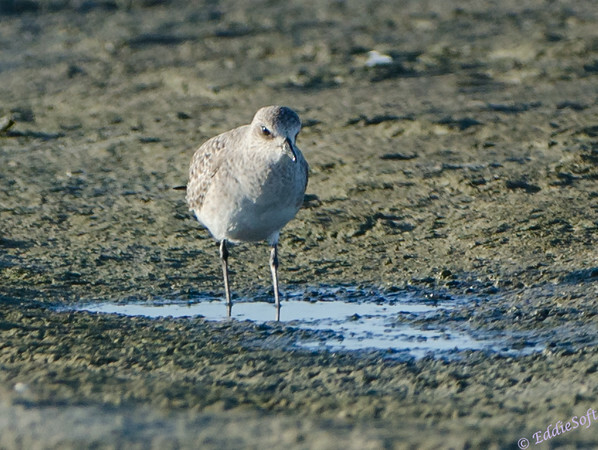 Want to spend a day nose deep in reference books, try to ID a non-breeding adult shorebird. You have to admire the experts in this field since they basically ALL look alike – at least to me. For starters, I usually check the regions to see if there can be any narrowing there. This particular specimen was taken at Galveston, Texas back in Nov 2013. 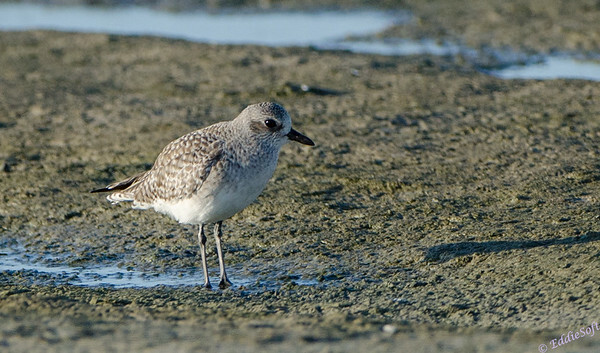 Well that did little to narrow the field since the Texas Gulf is a favored stomping ground for all the Peep breeds..
Hit the jump to find out what this Peep is!